XL wash chamber: suitable to wash trays of 600 x 400 mm. 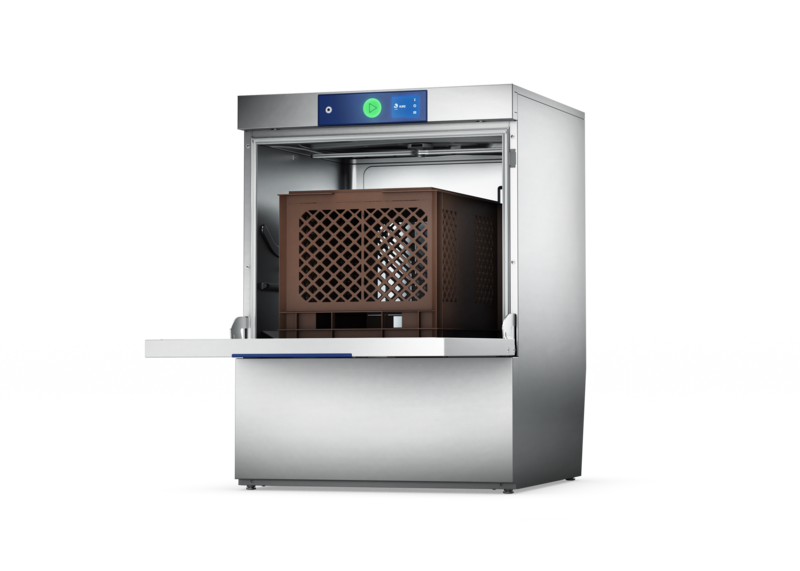 Ideal for fast-food restaurants, cafés and snack bars. 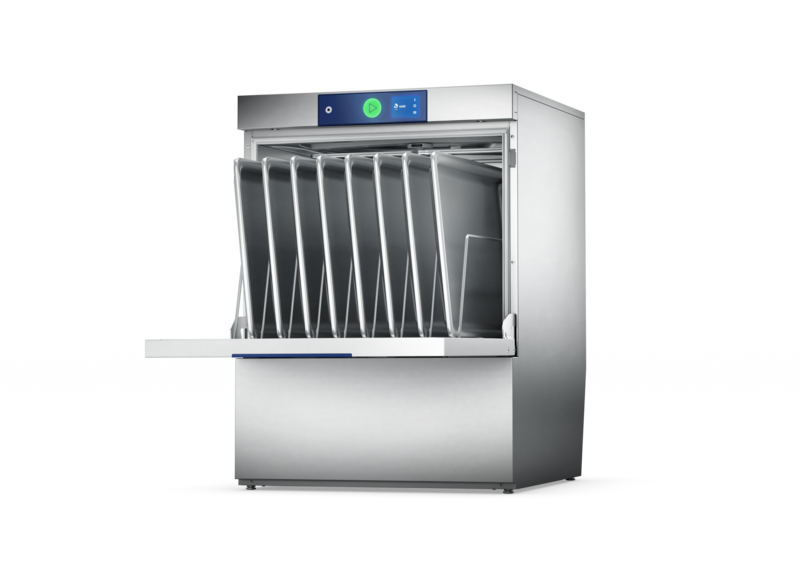 2IN1 double rack system: two racks can be washed in a single wash cycle. One rack of cups can be washed underneath, while a second rack containing dishes and cutlery can also be washed above it. Thanks to the optimum use of the entire wash chamber the performance of the machine can be doubled.